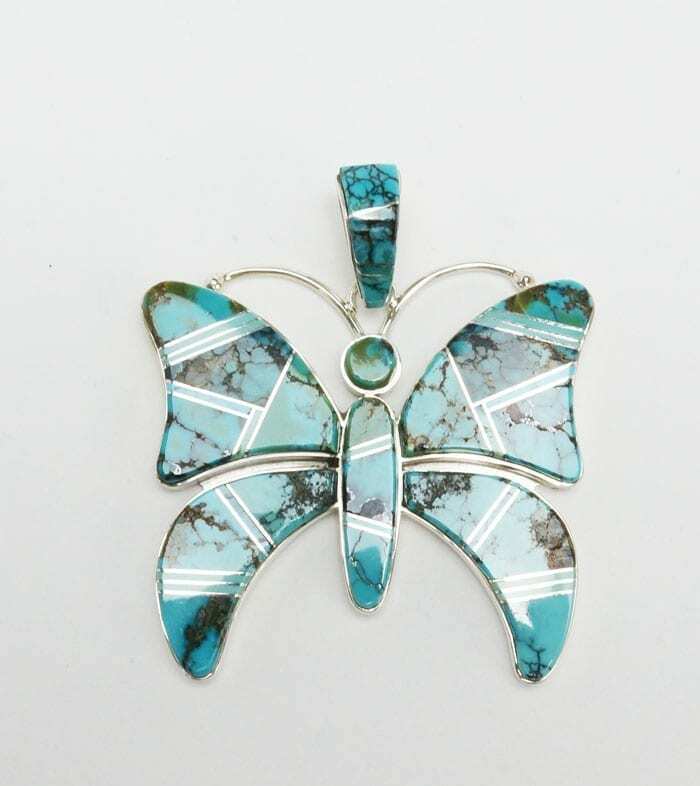 Master designer and silversmith Earl Plummer designed and built this handsome sterling silver butterfly inlaid with natural turquoise from various mines. 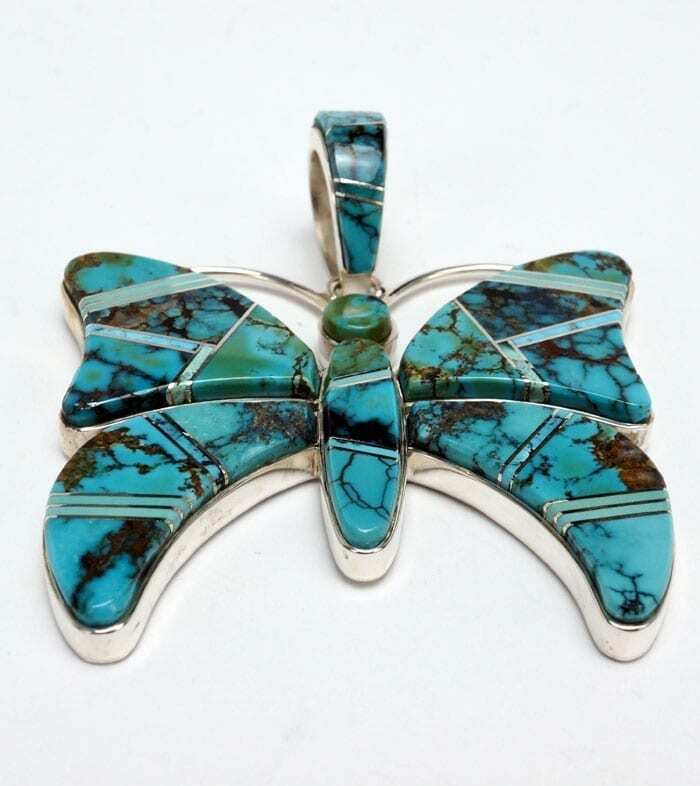 Variations in the color of the turquoise create an intriguing look. Earl Plummer (Navajo) was born in 1975. 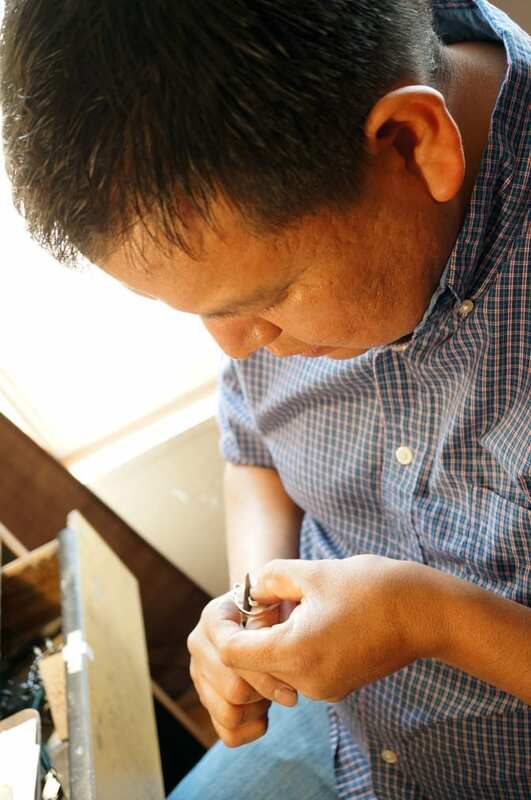 He creates fine inlay work with a beautiful sense of design. He combines natural stones and shells in ways that complement each other’s colors and matrices to great effect. Although Plummer learned basic silversmithing techniques from relatives, he taught himself much of what he now does. Working with him since 2004, we have watched this hard-working young man progress from very competent tradesman to master. He copies no one and follows his own path forward. Much of his work has a clean but bright contemporary look. Silver designs were simple, relatively speaking; his greatest strength was the ability to combine materials, whether homogenously or heterogeneously, in very attractive color and shape combinations. Since 2007, Plummer has challenged himself with more complex silver work as well. 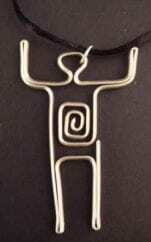 He has made a series of squash blossom necklaces, for example, that contain traditional elements that are combined with contemporary aesthetics. These squash blossom necklaces have been the ticket to awards at nationally known Native American art markets, including the Santa Fe Indian Market and the Heard museum Guild Indian Market and Fair. Once Plummer sets out on a mission, he is sure to accomplish it. Fortunately, his missions often involve new concepts and designs. As a result, we have full confidence in this artist’s ability to continue to grow and to flourish, and to be recognized by aficionados of Native American art as well as by his peers. Earl Plummer lives and works in New Mexico with his wife and four children. He generously gives time to his elders, helping with ranch duties (including sheep-shearing) as well as any other help he can provide. These buffalo horn earrings are cubic in shape; they illustrate Mr. Pourier's exquisite sense of design, this time with a simple approach. The white "starburst" on each earring adds a great touch to an otherwise black cube. Each earring is approximately 3/4" cubed; gold fill ear wires.